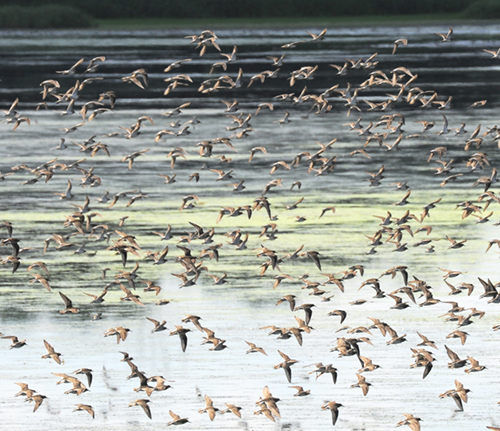 The recent heavy rains have created many good places to look for migrating shorebirds. Flooded farm fields are good. These birds were west of New Germany in Carver County, feeding and resting in the shallow edges of a wetland. They flush easily, most often flying a wide circle, returning to where they were. Migration should continue into September, depending on species. Sports Loons holding exit interviews. How many exits will be permanent?